The traffic and life of the town concentrates in the city's biggest market. 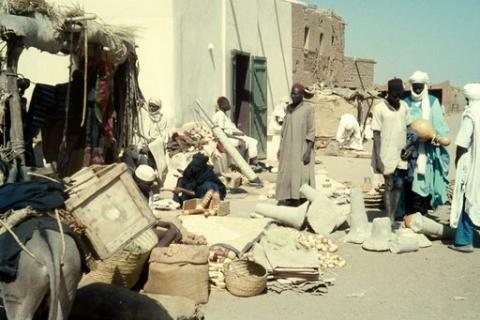 Tuareg and Hausa merchants from the outlying areas convene here frequently (bringing their camels along). In this area, bargaining is a must. Don't be surprised if you are asked to join some Tuareg merchants for a cup of tea while you are browsing; it's a routine part of the marketing process. Find tea sets, pagne textiles, food, silver jewelry and other goods at this location. Bring a map and watch your route carefully. Beware of pickpockets.